There is one universal truth; we all love pizza. MOD Pizza knows this especially. MOD Pizza at Deer Park serves up personal-size artisan-style pizzas and salads for lunch and dinner. Customize your order from over 30 ingredients – classic to seasonal, and lots of delicious stuff in between. Come visit MOD Pizza this Spring 2019 and see what our MOD Squad can make for you! Explore a Wide Variety of Chinese Delicacy with YOYO’S Café. Looking for something with a little more zing? YOYO’s Café is the place for you. With a menu that encompasses and wide-range of Asian foods and customizable plates, YOYO’S simply cannot be beat. Don’t miss out on an opportunity to give your taste buds a playday this Spring 2019. Embellish Your Sweet Tooth with Sub Zero Ice Cream. Coming Soon! What better way to top off your delicious dinner than enjoying a sweet, delicious, cold Sub-Zero Ice Cream? The temperature is heating up and it’s time to stay cool and keep your taste bud’s cooler. Treat yourself to a delicious desert treat and bring the entire family! No matter what food you love, we guarantee Eagle Ranch in Katy has everything you want and need. Want to learn more about getting ready for Spring Break 2019 in Katy? Check out our blog today! Deer Park Station is offered by Weitzman. Weitzman is one of the leading commercial real estate companies in North Texas. Weitzman offers a full range of Commercial Real Estate services including Project Representation, Tenant Representation and Investment Sales and, is also a leading Asset Management and Development Services Commercial Real Estate firm. Are you looking for a new nail salon in Deer Park, Texas? One of the most popular in Deer Park is Nails of America. Located in The Junction at Deer Park, Nails of America gives each of their customers the five-star treatment. The staff at Nails of America know just how to make their customers feel and look. By visiting Nails of America, you too can discover just how amazing they will make you feel. What does Nails of America have to offer to its customers? They offer manicures, UV gel manicures, pedicures, facials, massages, nail art, and more! They also offer body waxing along with group and party treatments. 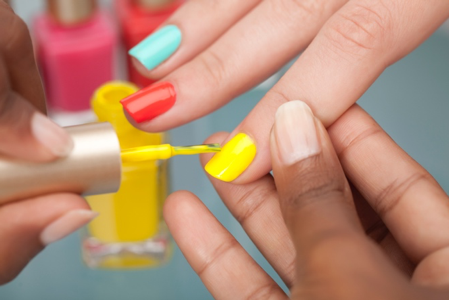 Nails of America is the perfect spot for your Saturday relaxation by yourself or with friends! The staff here at Nails of America really knows how to spoil their customers and make them feel like royalty. When you are ready to relax for a day and get your beauty makeover, call Nails of America at (832) 835-3152. They can be reached here and they are located at the North East Corner Spencer Highway & East Blvd in Deer Park, Texas. If you need a day at the spa, look no further than Nails of America. They can have you in a chair, relaxing, in no time at all. Need a special place for your bridesmaids or best friends? Nails of America has special packages that can get all the girls looking great! Call on Nails of America to make you all feel like a million bucks! A community favorite shopping center in Deer Park, Texas is the Junction at Deer Park. A convenient place to shop that offers a variety and local finds for the whole family, with plenty of great options for retail leasing in Deer Park. The junction at Deer Park is located at the busy intersection of Spencer HWY and East Blvd in the Deer Park community and is across the street from Walmart. Additionally, it’s just an easy 30-minute drive from downtown Houston and has something the whole family will love! If you are looking for retail leasing in Deer Park, look no further than the Junction at Deer Park. There’s a lot to keep shoppers busy and entertained at the Junction at Deer Park from making a dental appointment at Deca Dental to eating lunch at MOD Pizza or YoYo’s Cafe followed by an ice cream dessert at Sub Zero Nitrogen Ice Cream! Currently, the Junction at Deer Park directory includes services that the whole family can enjoy and that’s exactly why it continues to remain a preferred place to shop, especially among the local community and those living and working in the surrounding area. The Junction at Deer Park looks forward to welcoming you and your business to their premier location. After looking at their site plan and busy location, we’re sure you can recognize that the Junction at Deer Park is certainly a place to consider when thinking of expanding or relocating your business. Contact us for more information about retail leasing in Deer Park! The Junction At Deer Park is offered by Weitzman. Weitzman is one of the leading commercial real estate companies in North Texas. Weitzman offers a full range of Commercial Real Estate services including Project Representation, Tenant Representation and Investment Sales and, is also a leading Asset Management and Development Services Commercial Real Estate firm. Weitzman understands the key to creating retail success! They have the knowledge gained from constant research in the commercial real estate industry that keeps them steps ahead of their competitors and joining into a leasing project with this dynamic company could put your business into the next league! Fall is coming, and with it comes sweater weather, warm drinks, and a brand new skin care regimen. As the cooler temperatures hit, make sure your skin is ready for fall by following the fall beauty tips below. Moisturize – when the air is drier, as it tends to be in colder months, you’ll need a heavier moisturizer (cream rather than lighter, oil-based) to keep your skin from cracking. And moisturize every day for the best results. Exfoliate – exfoliation is key in preventing dryness and keeping your skin soft. Use an all-natural scrub without harsh chemicals or plastic beads. Exfoliation can sometimes be harsh on your skin, so try exfoliating your skin once a week during the fall months. Get some rest – sleep is still the best medicine for glowing skin, and rest has a whole host of other benefits, so there’s no excuse for skipping out. Make sure you’re getting between 7-9 hours every night to look and feel your best. Hydrate – it’s easy to remember to guzzle water when the weather is steamy and you’re sweating it all out. But don’t miss out on drinking plenty of fluid all year round. Stay away from too much sugar or caffeine. Plan water is best. Sunscreen – just because it isn’t 80 degrees and sunny outside doesn’t mean the sun can’t damage your skin. Use a sunscreen of at least SPF 15 on all areas of your body that aren’t covered by clothing, and reapply throughout the day as necessary, especially on your face. Don’t forget – areas like lips and cuticles get dry too, and can be particularly painful if they crack. Lip balm and cuticle cream are quick additions to your skin care routine and will save you from painful dry areas. Most importantly, always pay attention to what your skin is telling you. You may need to switch products as fall approaches. Seasonal changes definitely affect your body in many ways, so if you notice breakouts, flaky skin, or other problems, it’s a sign that whatever you’re doing now needs to be switched up. Don’t be afraid to experiment this fall to see what works for your skin care regimen. We look forward to seeing you the next time you’re at The Junction at Deer Park and please remember to contact us with any of your questions or concerns. There’s a whole lot to be said about a summer staycation or what many refer to as a “little day trip getaway” for a couple or the whole family. There are so many fun activities that can be done all within a day’s drive and you’re not out of all the additional money for extended travel and overnight stay, in addition to the dreads of packing and detailed planning. When you’re planning a staycation near Houston, all you need are some good walking shoes, comfortable clothes and a lot of energy so you can enjoy the day! One thing about going to watch a movie at a theatre is that you’re forced to sit down and you don’t have all the added interruptions when trying to watch a movie at home. While trying to beat this summer heat, enjoying a movie in a cool theatre, especially in one of those new, comfortable recliners can be a treat! So consider rounding up the significant other and/or the kids and plan on watching one movie or even a catch a double feature. Houston’s Health Museum has something for the whole family to enjoy and their mission is to empower healthy living. This unique museum offers a real-life journey through the human body. Not only is it entertaining, but it’s also educational. The Health Museum offers Free Family Thursday 2 PM – 7 PM and one of the many unique displays include a 22-foot-long backbone with ribs descending from the ceiling to the floor. This large backbone gives one the feeling of being inside a giant rib cage. So consider it as part of your staycation, a visit to Houston’s spectacular Health Museum. Somewhere along the way, you’ll need to stop for a bite to eat. Whether it be for lunch or dinner, and depending on what area of Houston you’re in, at some point you may consider stopping in for a bite at Mod Pizza at The Junction at Deer Park shopping center. Their menu includes a variety of mouthwatering choices including personal artisan-style pizzas, salads, garlic strips and handspun milkshakes. To round off the day, you might want to drop by Sub Zero Nitrogen Ice Cream to cool off before you head back home. Choose from a variety of eccentric flavors including Birthday Cake Capacitor, Magnetic Mint and more! Enjoying the day to the fullest doesn’t mean you have to take an overnight trip somewhere and spend lots of cash. Getting up early and getting in the mindset that you’re going to enjoy yourself and the day locally can not only save you money but it can allow you to have a hassle free day away from the house and also a little mini vacation! If it’s been a while since the last family dinner night out? It’s time to enjoy a nice family dinner in Deer Park together, go ahead and mark your calendar to come on out to The Junction at Deer Park. Not only can you experience a spectacular meal, but you can also do a little shopping while you’re there. Here are some of the best restaurants for family dinner in Deer Park. If fresh pizza is what you’re in the mood for, you can’t go wrong with Mod Pizza. You can choose from 30+ freshly prepared toppings or choose one of their delicious salads, there’s something for everyone! Just check out their simple menu with endless possibilities. So if you’re wanting a mouthwatering doughy dinner then Mod Pizza is the way to go! And if authentic Chinese food is what you’re looking for, then come on out to YoYo’s Chinese Cafe. They offer a bright and beautiful indoor dining area and also a tranquil wine bar as well. From egg roll appetizers to salads and wraps, vegetarian dishes and traditional favorites, YoYo’s will satisfy your taste buds if you’re craving a fantastic Chinese style meal. Their menu includes signature plates and classic dishes. If you haven’t had the pleasure of dining at YoYo’s then make them your choice for your next family dinner night out; you won’t be disappointed. And after dinner, if you’re wanting to try an extra dessert, stop by Sub Zero Nitrogen Ice Cream for some delicious and fresh nitrogen frozen ice cream. They’ve got just about every single flavor you can imagine and an endless choice of toppings. So if you don’t have room in your stomach after that big dinner, stop by Sub Zero Ice Creams and get some to take home for later! We look forward to seeing you at your next family dinner in Deer Park night out and please make sure to contact us should you have any questions or concerns.